Home	> 14. TORAS HA’ADAM/RAMBAN. VENICE 1595. 14. TORAS HA’ADAM/RAMBAN. VENICE 1595. 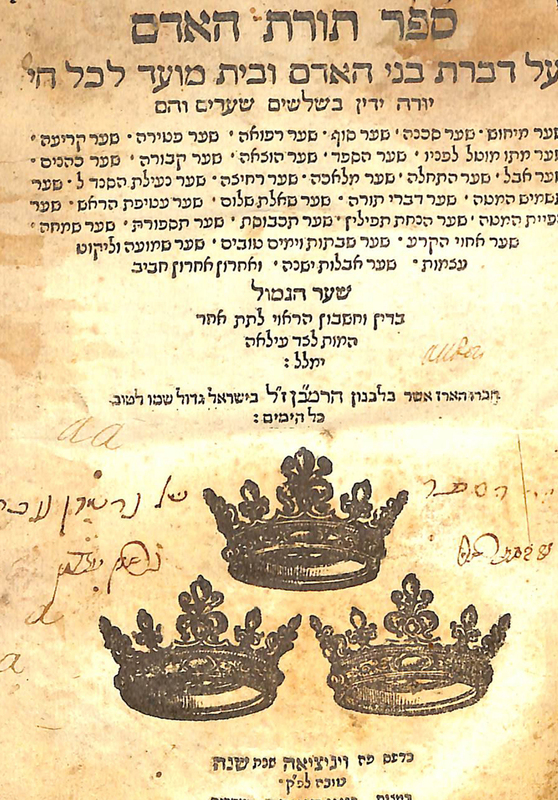 Laws concerning the sick, deceased and mourning as well as an extensive thesis on afterlife and the world to come, authored by R. Moshe Ben Nachman/ RaMBaN. With introductory prose on the importance of this work by R. Yehuda of Modena. 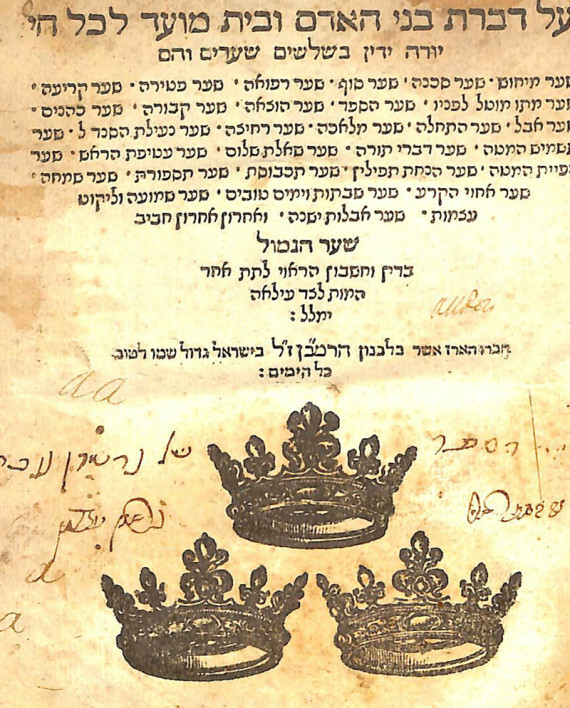 Additionally the famous letter written by the RaMBaN to his son describing conditions in the Holy Land upon his arrival, appears on the final page. Vinograd Venice 815. Di Gora press. Fair condition, some staining and foxing, closely shaved. Trace worming with minor damage to text. Corner of one page with small tear with loss of two words. Modern binding.